Emergency Medicine is where the #FOAMed movement started. Free Open Access to Medical Education. When you search on twitter for #FOAMed you get access to several clinical pearls and blogs where academic physicians are writing about not only emergency medicine, but other medical specialties. I’ll mention key websites you should use during your clerkship rotation that are part of the #FOAMed movement later in this module. 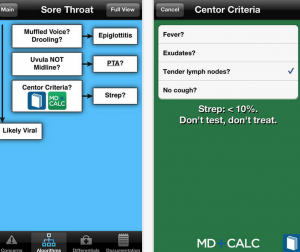 First, there are 5 apps you should download for your Emergency Medicine clerkship that will help you maximize on clinical opportunities and help you study for the shelf exam. 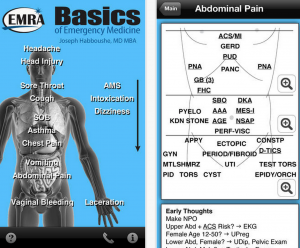 Basics of Emergency Medicine was created by EMRA (Emergency Medicine Residents’ Association) and is the most essential app you will need on your Emergency Medicine clerkship rotation. 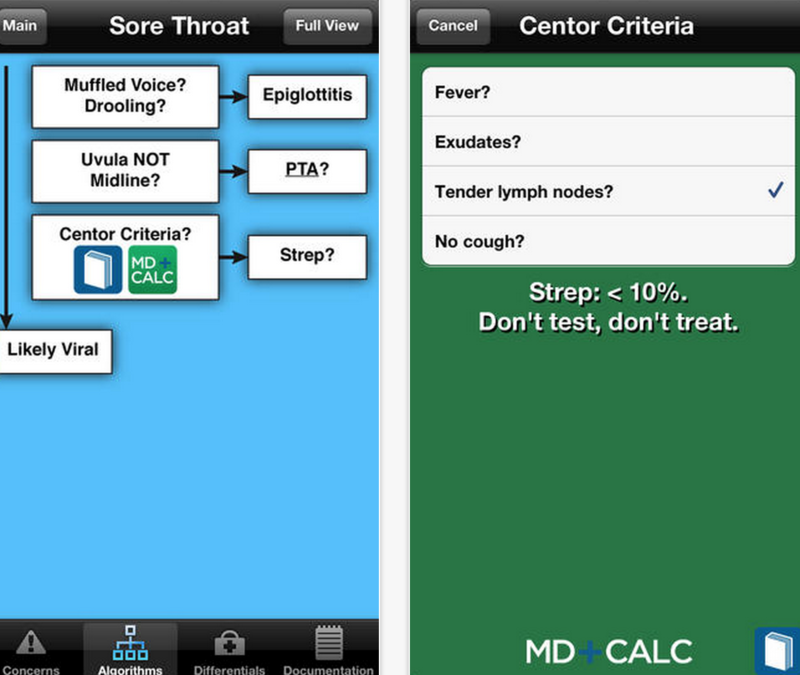 The app helps you navigate pathology based on chief complaint and formulate competent differential diagnoses. * Algorithms — based on concerning symptoms, you are taken down this pathway, and can navigate to the differential area. 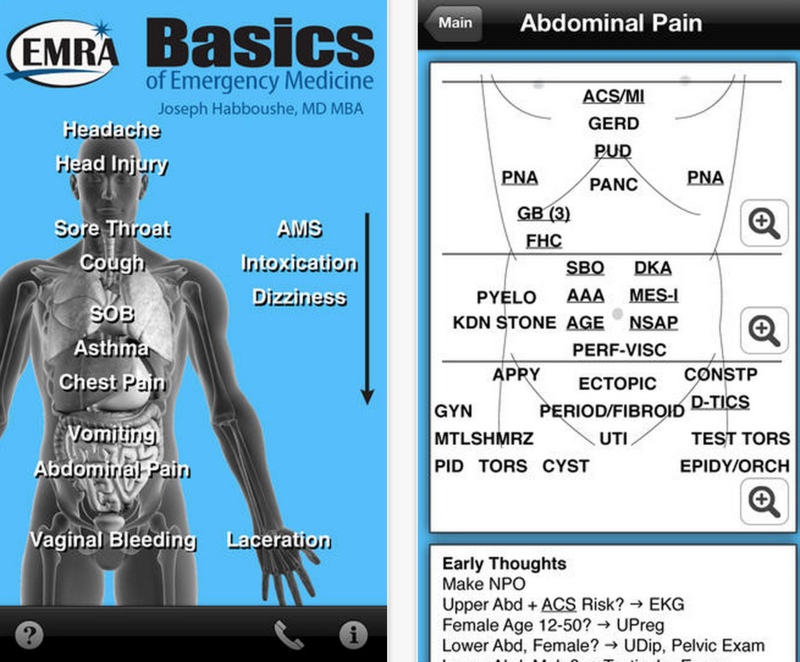 Basics of Emergency Medicine is the app you will use the most during your clerkship rotation, and is a must have. You should use the app before seeing every single patient, as it will help you ask the appropriate questions, and come up with competent differentials. Price: $2.99 (the paper back version on Amazon costs $15.00, making the app a great deal).